There are many options in Downtown Denver. We are located in the Tabor Center, which features an underground garage off of Lawrence or Larimer streets. There are also metered on-street parking and private lots available within one block. We are located near the intersection of Larimer and 16th Street. The 16th Street Mall Ride is free of charge and can be accessed via the Union Station or any of the RTD stations in the downtown area. Creative Catering by Blue Agave Grill - Delicious! It’s your recipe for a great event: catering by Blue Agave Grill! 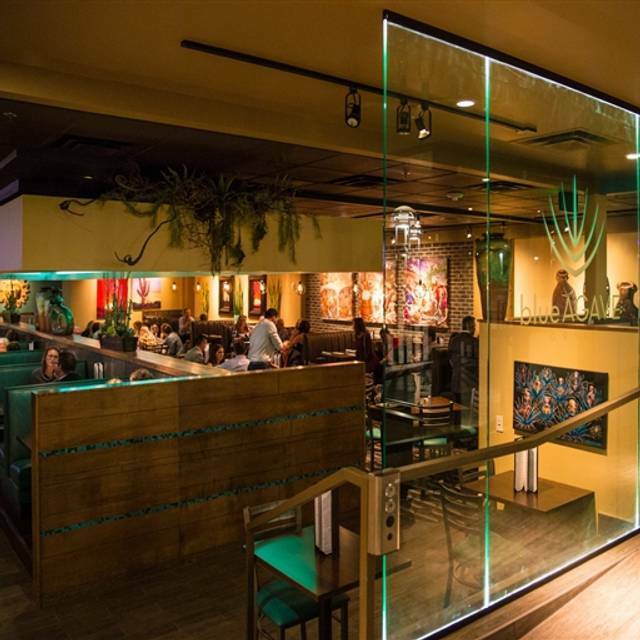 We’ll bring our contemporary southwestern food and fun wherever you are. • Office parties • Family reunions • Nonprofit events • Parties and special occasions. Just give us a call, and we’ll make sure your event is perfect, from the best, made-from-scratch-every-day contemporary southwestern food to all the little details you don’t have time for! Call for more information or feel free to visit our website! 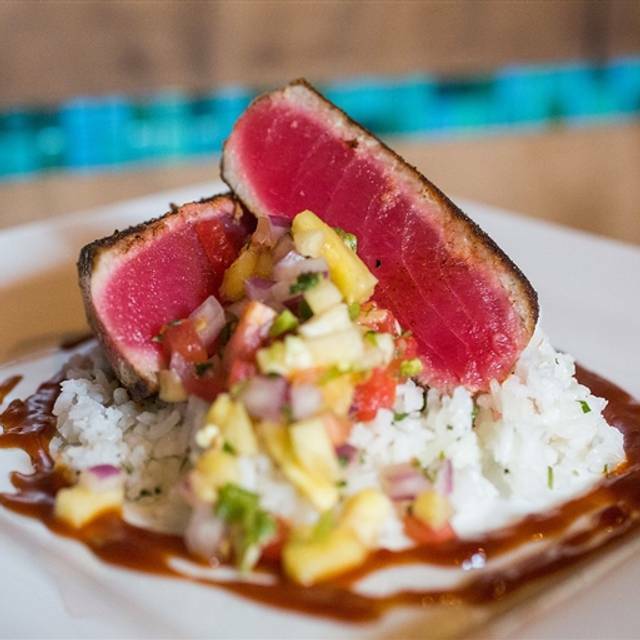 Blue Agave Grill is a local, independent, and Colorado grown restaurant! 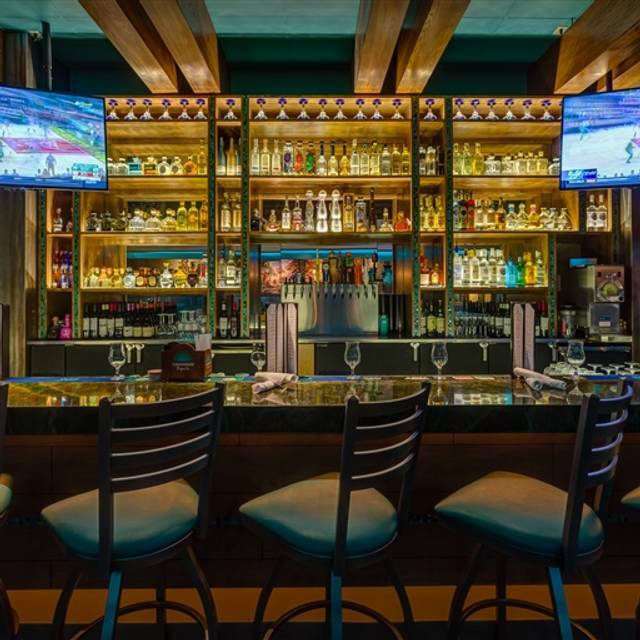 We are full service dishing up contemporary southwestern cuisine with a full bar and over 120 tequilas. 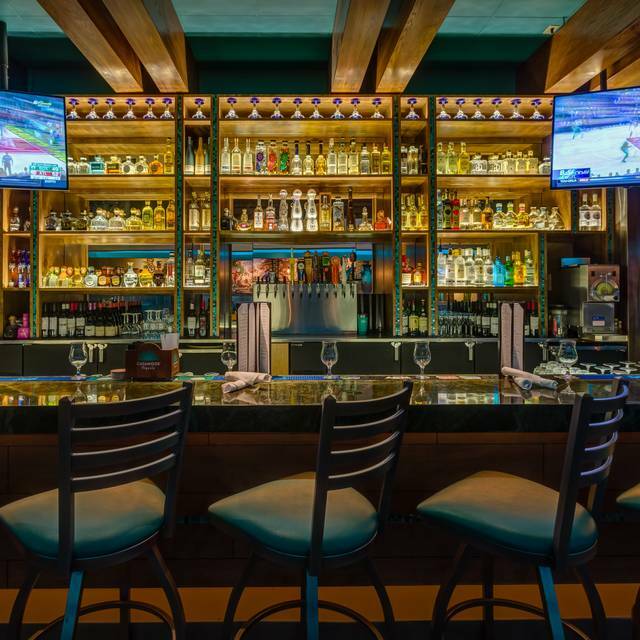 We feature a from-scratch kitchen with many gluten free options as well as a large selection of margaritas, house infused tequilas, and homemade sangria. From made-to-order guacamole to our vibrant atmosphere, come on down and try a flight of our favorite margs and tequilas. Brunch Menu available Saturdays and Sundays from 11:00am to 2:00pm, full menu available all day! Featuring house-infused bloody mary’s and Downtown Denver's most affordable BOTTOMLESS mimosas! Join us all day on Tuesday for all-day happy hour! It's all about tacos and tequila on Tuesdays with Blue Agave! $5, $7, and $9 street taco trio's and duo's, $3 wells & bottled beer, $4 draft beers, $5 select margaritas! 1/2 off all tequila priced $12 or more too! Enjoy one mimosa on the house with any brunch entree purchase. *Limit 1/table, not valid with bottomless mimosas, not valid with any other specials or promotions! Enjoy any appetizer on the house with the purchase of any entree. Treat your mom to our Mother's Day Brunch Buffet for $29.99/person ($11.99/child) 10am to 3pm and enjoy our $8 Bottomless Mom-mosas or try our brand new Bloody Mary Bar! Join us to celebrate Cinco de Mayo and enjoy $5.28 Blue Agave Margaritas (Rocks/Frozen), Sangria Swirls and Sangria Sunday specials. We will be dishing out great food and your favorite bebidas all day and night! Featuring 5 of our signature margarita's for $5 all day Saturday's with any purchase of food. No limits! Let's have a '5 o'clock somewhere' kind of day! We've got bottomless mimosas starting at 11am every Saturday and Sunday morning until 2pm. With the cheapest bottomless mimosas ($11.99) in Downtown Denver, you can't go wrong pairing them with our full menu and brunch offerings. Your one-stop shop celebration for Cinco de Mayo! 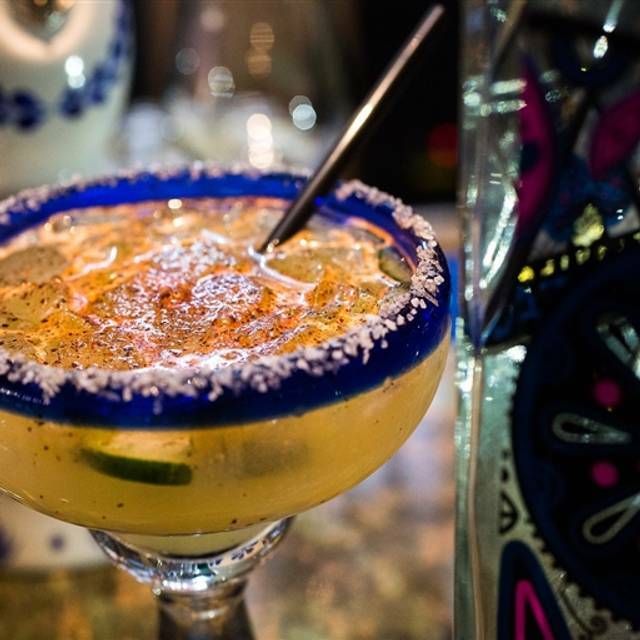 We will be featuring $5.28 house margarita's all day and other drink specials to help get the fiesta started. Who doesn't want tequila and taco's on Cinco de Mayo? Join us for an amazing Mother's Day Buffet! We will feature an array of Blue Agave style brunch items, desserts and $8 Mom-mosas! Enjoy the debut of our bloody mary bar to make the day that much more special. Buffet served until 3pm. $29.99 Adults/$11.99 Kids 8 & Under (Soda, Tea, Coffee included)! Join Blue Agave Grill in Downtown Denver for your Easter Brunch! 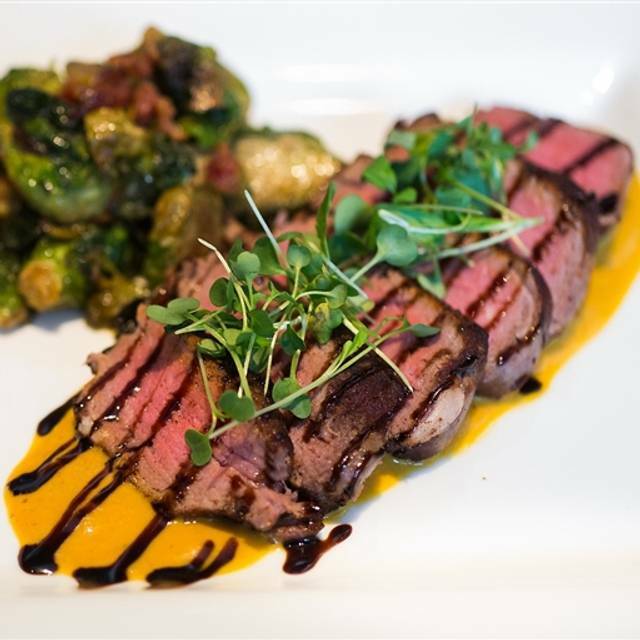 We will feature our full Dinner menu all day in addition to our Brunch menu starting at 11am-2pm. I'm in a book club and the members are scattered from East Aurora to Arvada to Longmont. We try and find a central place to meet. The food and service were great. We will come back again. Blue agave was so accommodating and let me push back my reservation twice. The service was phenomenal and managers asked how we were doing as well. Highly recommend!! Everything from the drinks to dinner was delicious! And they have so many gluten free options, which are hard to find without sacrificing flavor. Great place to eat if you’re looking for some southwest/Mexican style food in the downtown area. Really good margaritas and an extensive tequila list. Food is reasonably priced for what you get and is tasty. The corn/chorizo dip is highly recommend! Overall a good value. The place and the service was fabulous! Everyone needs to try the margarita flight! We ate an early dinner before our show at the Clocktower. Our server, Stef, was outstanding as were his recommendations. Food was excellent. Please try the pumpkin/espresso soup! It was possibly the best thing ever. We will definitely return. This is a fun place to go if you want good food for not-too-much-money. We had a group of ten and everything went really smoothly. Great margaritas! All day Saturday happy hour is nice. Manager was wonderfully nice, could tell he truly cared. Food was delicious. If I had one complaint it would be the portions were a little small for the price but I left full. The food and service were both mediocre at best. The food wasn’t bad but it did not blow me away. The steak taco’s I ordered was a beet small portion. Had dinner here before a show at the Paramount. It’s an easy MallRide (bus) down the 16th St mall. I had been there twice, but took my two besties and they loved it. Max was our waiter and he did a super great job with all of our special requests. The food was delicious, the margaritas were great! A great place for dinner before the theatre. Food was good in comfortable portions. Service was excellent. The food was really good, however the restrooms were out of order so that was very unfortunate. As always the service & food were first rate. We like the menu here as it changes seasonally & is always interesting. We have been to Blue Agave on numerous occasions. Upon arrival for our recent visit we learned that because we booked through Open Table we would receive a free appetizer, $16 or less. Our server was training another server and it just didn’t seem like they were on it. My margharita came with salt when I ordered no salt, oh, and that free appetizer was a no show. When our dinner arrived our server + server-in- training never even noticed things were off. Oh well. We typically rave about Blue Agave but this time the overall experience was not so rave worthy. When a restaurant doesn’t give the patron relaxed pace of serving, it’s a no return policy for me. Both appetizer and entree were served within seven minutes of our ordering them. That is not a great way to have a special night out! Our food was absolutely delicious for the meal. The chips and salsa weren't overly spectacular considering how delicious the remainder of the food was. For restaurant week, 3 courses is the average and there wasn't a desert here, disappointing since it was my birthday, but overall a good experience. Restaurant did not record me showing up with my party for our reservation, and when I called about it, the manager was very rude and not apologetic. Excellent except hostesses were beyond rude. Great service, drink options and food choices for casual and fancy options. This didn't live up to my expectations but it was rated 4.5 on Yelp so I expected more. I would recommend it to friends but I would describe it as more of a moderate restaurant. Always great! Glad we have an easy go to for lunch on 16th Street. First time visitor--very nice place. 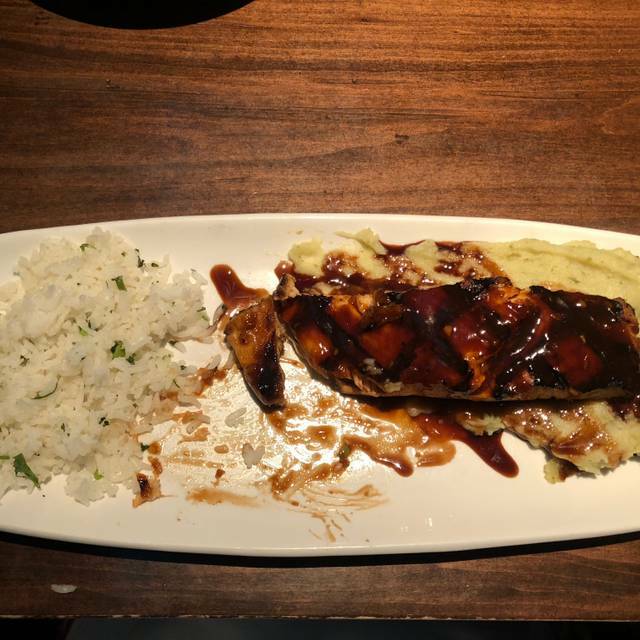 The salmon of my dinner companion was overdone and dry, but still a great dining experience. I would go back. This place was just great in terms of food, service and value. I ate early so it was fairly quiet, and found out they had a $25 restaurant week special, with a lot of nice appetizer/entree options. The chef street taco was fish, but they happily substituted pork for me, wonderful with fruit salsa and crema. I chose the skirt steak asado with rice and black beans for my entree. It was flavorful, rare as ordered, and tender. It came with a shrimp and lobster enchilada, with a light cream sauce. Nice surf and turf! I had enough steak and rice and beans left for a great lunch today! I'll be back. I love the theme of the restaurant and the atmosphere. The frozen margaritas are to die for as well as the fish tacos. Will soon come back with a family member. The only qualm I have is the chips with the salsa. It tastes store bought and made from Tostitos. If that is the case, I would really love to have restaurant-made chips. Other than that, thumbs up! Outstanding quality food and drinks. The red chile sauce with the steak was amazing. Terrific margheritas. Fun server. Quality Mexican food with good service, the service was a bit stressed with restaurant week in full swing. Wanted to try a new place for Restaurant Week. We were thrilled with the menu options and the service was great! Great National Margarita Day. Appreciate that they took reservations and were prepared when we arrived. Everything went smoothly. Hailey is a delight and took great care while providing attentive service. Food was good. The restaurant was close to empty so our service was very attentive. Also had a waiter who was able to answer a lot of questions about things to do in the area which was very nice. Good Mexican food. Nothing special but good. I went to Blue Agave last Saturday for my birthday dinner. I was sooooo excited... 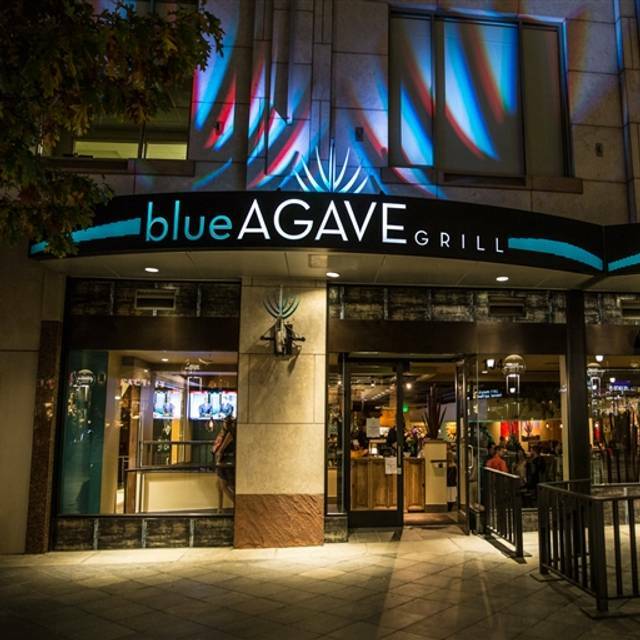 I actually used to be a Server Manager at the original Blue agave in Fort Collins, and hadn't been able to visit since I moved down to Denver. That being said, I may have ridiculously high standards. To start, from the time we were seated until the time we were asked for our drink orders, it was about 15 minutes. It happens, so we will move on. The next time we saw our server (probably another 15 minutes after we received our drinks), we were ready to order not only our appetizers, but our entrees as well. This is where the fun really started. All of our food came out before any appetizers. Then, we were missing TWO of the three appetizers we ordered! THEN, there was hair in a friend's food. So, the manager comes out to apologize for the hair- and we notify him that we are still waiting on some appetizers. He proceeds to tell us that our server told him we ordered our entrees and then decided to order apps. That was a total lie. Then, the manager just walks away. (You can see how great this experience was, I'm sure.) Ugh. I will also add that we ordered a non-alcoholic mojito during this time, which was forgotten about until we asked again for it at the end of our meal and the the server charged us for a mojita-rita. Also, numerous sauces were forgotten that were asked for as well, but I am kind of beating a dead horse with a stick at this point. What a total disaster, and I am honestly embarrassed at how much I talked Blue Agave up to my friends! Our server was nice enough, and he had a great sense of humor, and they comped our bill... but wow. It seems like since Blue Agave got so popular, their service standards have really dropped. I am sad that I know have such reservation to visit one of my favorite restaurants again! Amazing food and drinks. 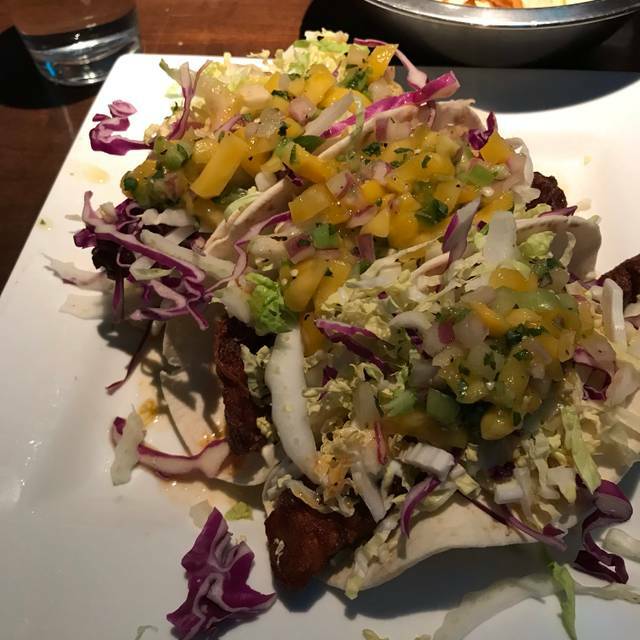 The coconut shrimp tacos were so good. Will be back for sure!! Great experience. Host interaction was friendly and efficient. Waited at bar for our table; bar service was good, recommended sangria was tasty. Server was good, knew his menu items; food came out quickly. Presentation was a little weak, but food was tasty and good portion sizes. Great food. Would definitely recommend to anyone. Will be back soon. Nice twist on standard Mexican fare. Great service and attention to detail. Nice almost intimate atmosphere. Would highly recommend! I love, love, love coming to Blue Agave Grill. I always feel like I am coming home in a sense. The people who work there love being there and want to make sure you are going to enjoy your time. I was having our monthly Book Club and arrived way to early. Jeff was wonderful and said the table was already set up so no problem, let's get you seated. He brought my Sangria Swirl (one of the reasons I love this place) and chips and salsa. He told me to send a photo of the drink to my friends so they would come on over. Jeff had fun with us by giving us suggestions for entrees, asking if we needed anything and showing how to land a drink napkin on the table. Some of our group didn't make it, but the best part was Jeff made us feel welcome. We had a wonderful time discussing our book and then catching up. When we got ready to leave, we all gave hugs to Jeff. If you want to go somewhere where they value you, the food is excellent and the adult beverages are spot on, head over to Blue Agave Grill. These people love making your dining experience something special.